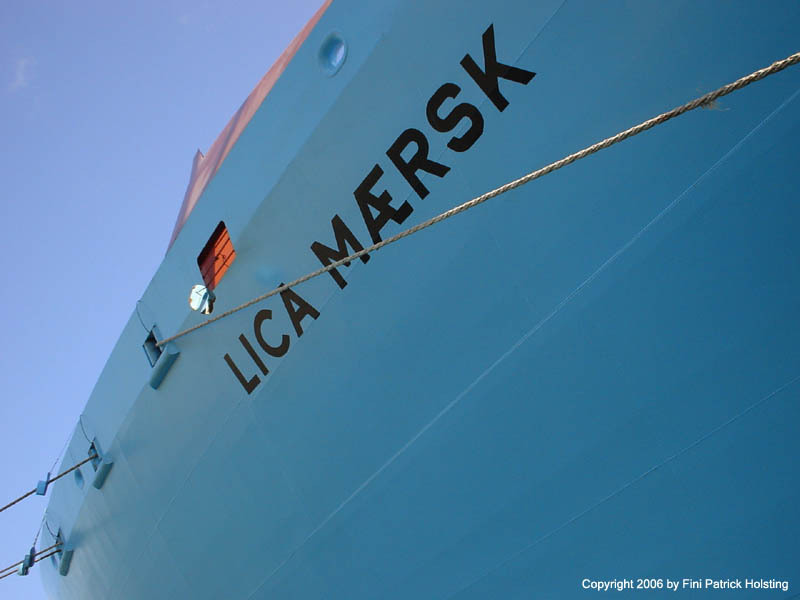 "Lica Maersk" (not my picture). 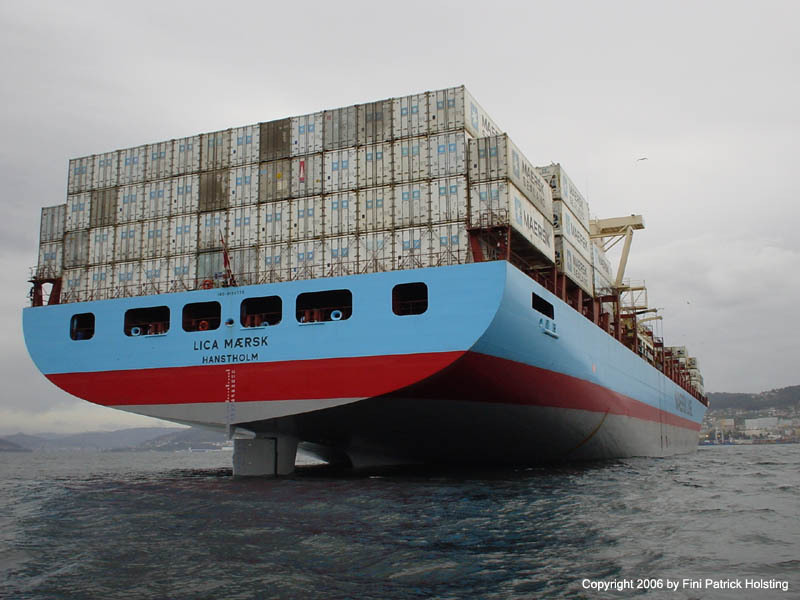 Lica Maersk was my first ship as an officer, and I embarked the vessel January 14, 2006 in Algeciras, Spain. 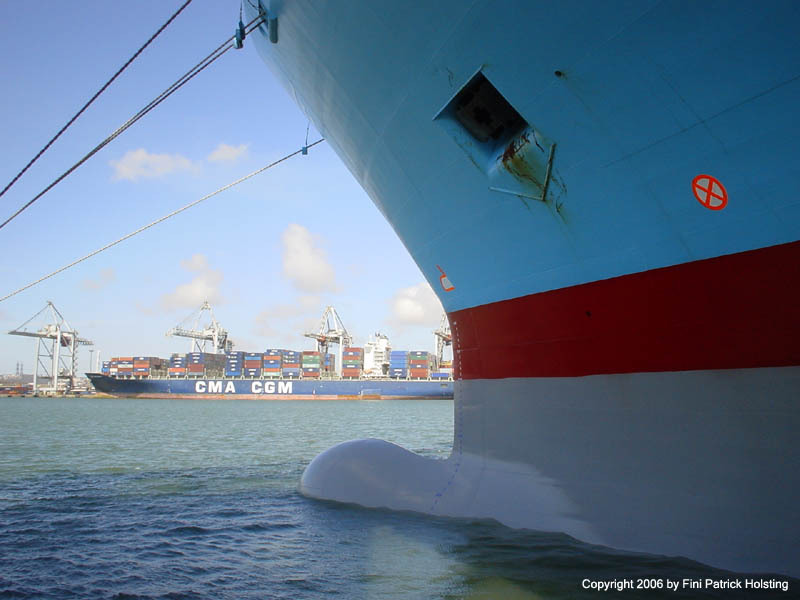 Looking up at the port bow from the pier in Le Havre, France. 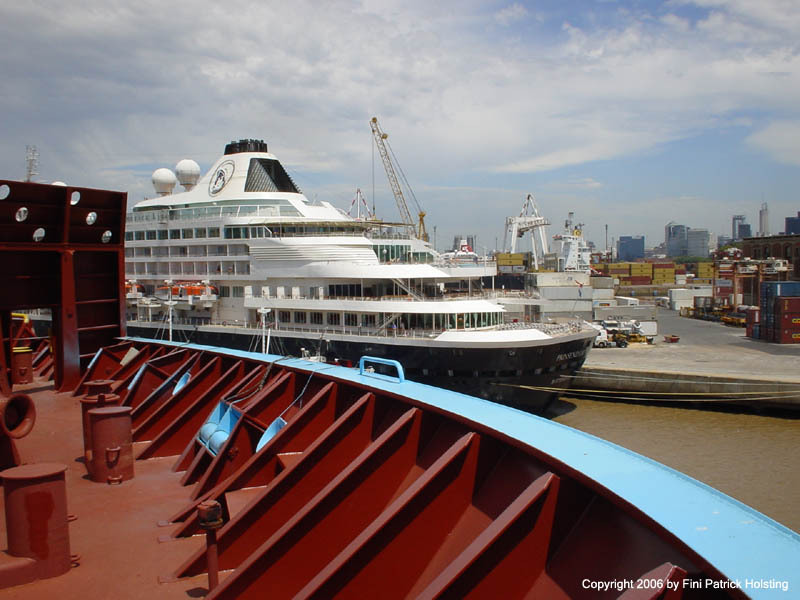 The blue things on the mooring ropes are rat guards, designed to keep rats off the ship. Notice one is dangling above the rope. 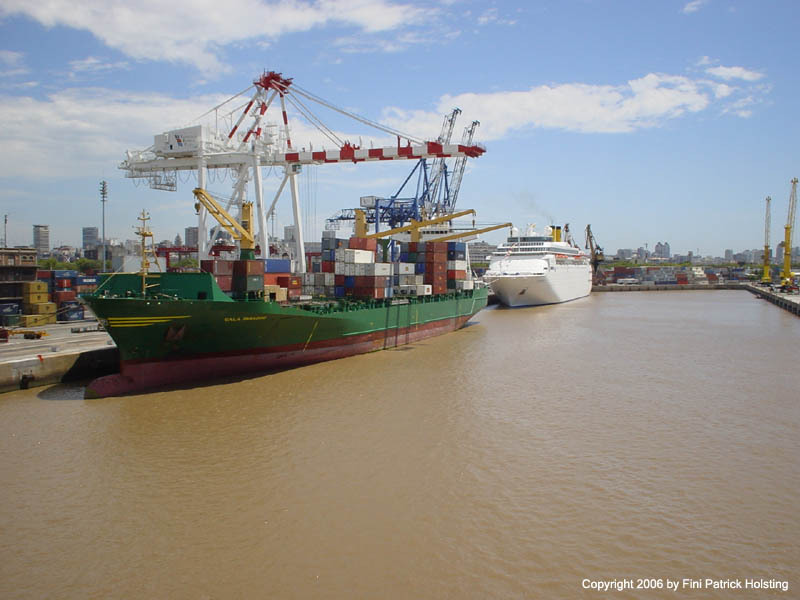 This is because of a combination of tide and unloading of cargo, causing the ship to rise beside the pier. 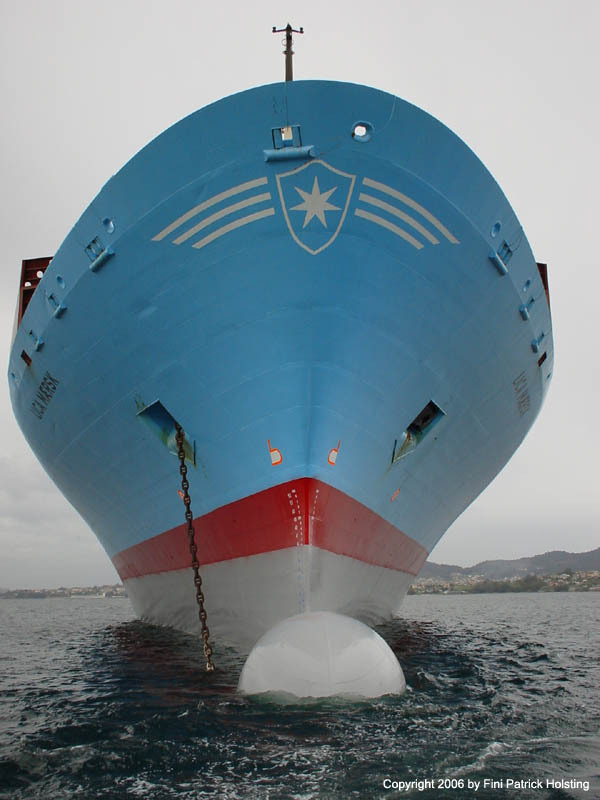 This pulls the mooring ropes into a more downward angle, so the rat guards need to be adjusted frequently in port. We had moored in the typical 4-1 setup, which means 4 head lines (going forward from the bow) and 1 spring line (going aft from the bow). Each of these ropes can withstand a pull of at least 60 tons. The forward spring line. Sometimes it's necessary to arrange mooring in another setup, for instance 3-2 or 4-2, using two spring lines. This depends on wind and current at the pier. Anchored in the bay just outside Vigo, Spain. Another ship was occupying the pier, so we had to wait a couple of hours. This gave us time to launch and test both life boats and the Man-Over-Board boat simultaniously; an exellent opportunity for taking pictures. Starboard side seen from the port life boat which I was in charge of. Note the davids hanging out and the falls ready just above the surface. The falls are made of 1/2 inch wire. Cruising around the stern. 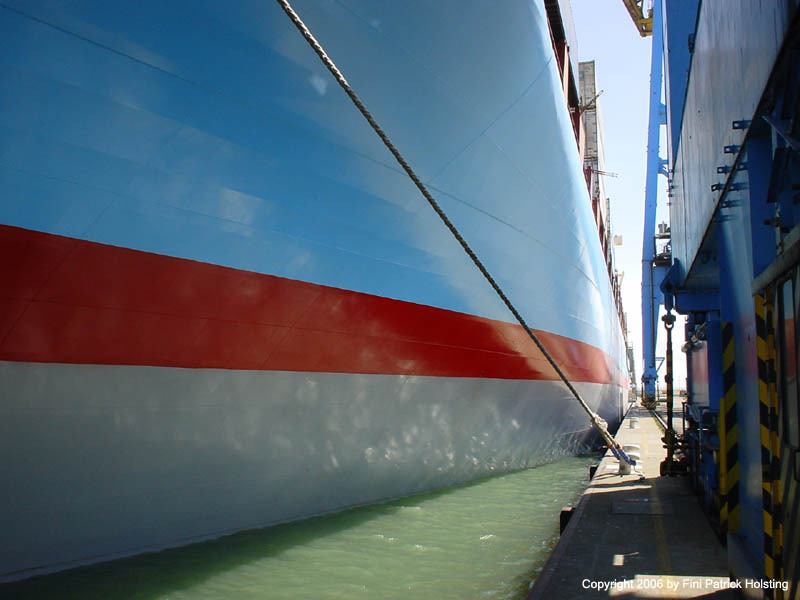 The ship had recently docked, which explains the nice paint coat. 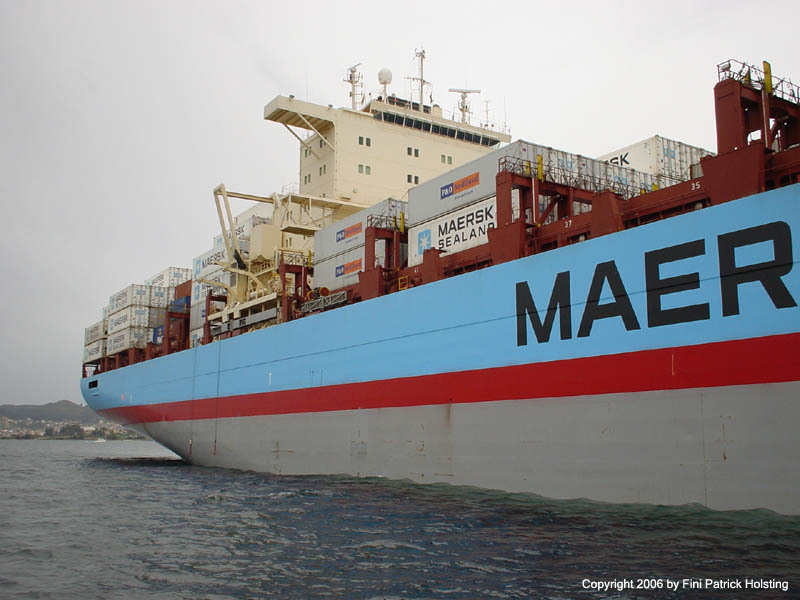 The grey bottom pain is a fairly new thing with Maersk, a special silicone based environmentally friendly low resistance paint. 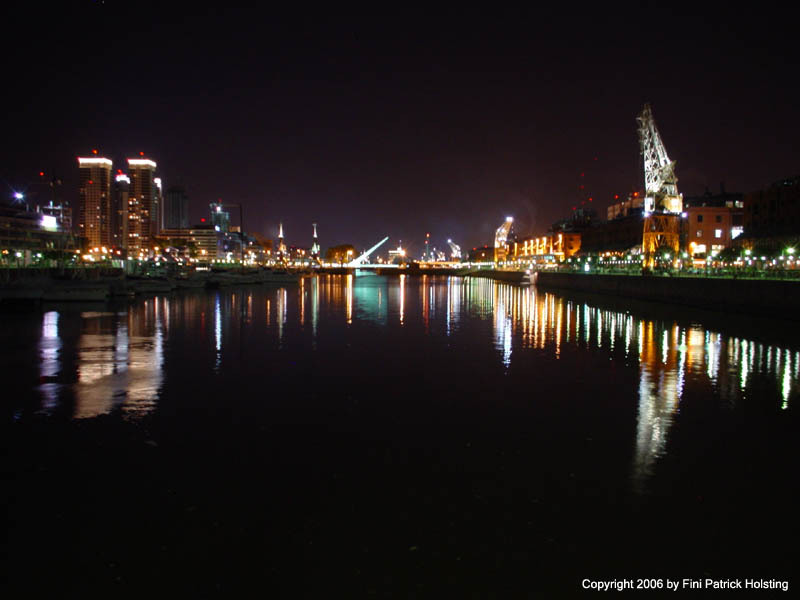 The bridge during Buenos Aires approach. 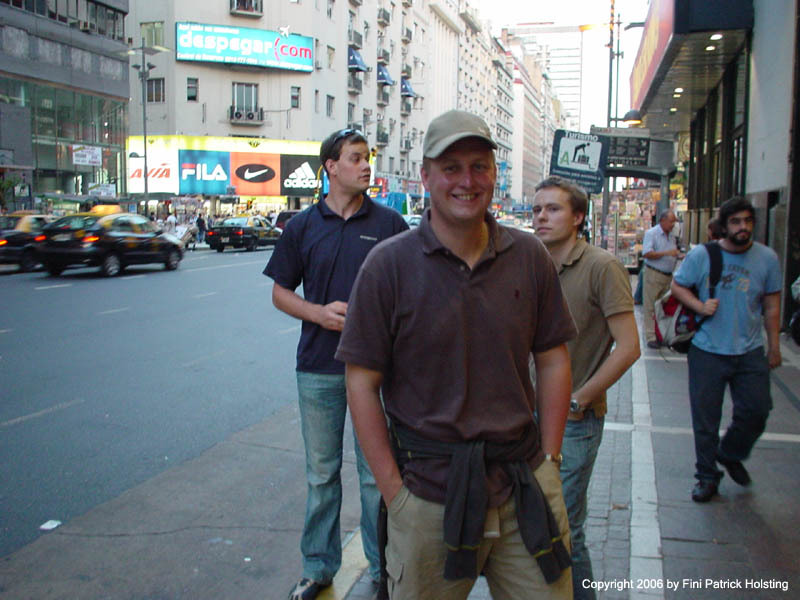 From left to right it's the Captain, the Buenos Aires Pilot and an able seaman, currently on helmsman duty. 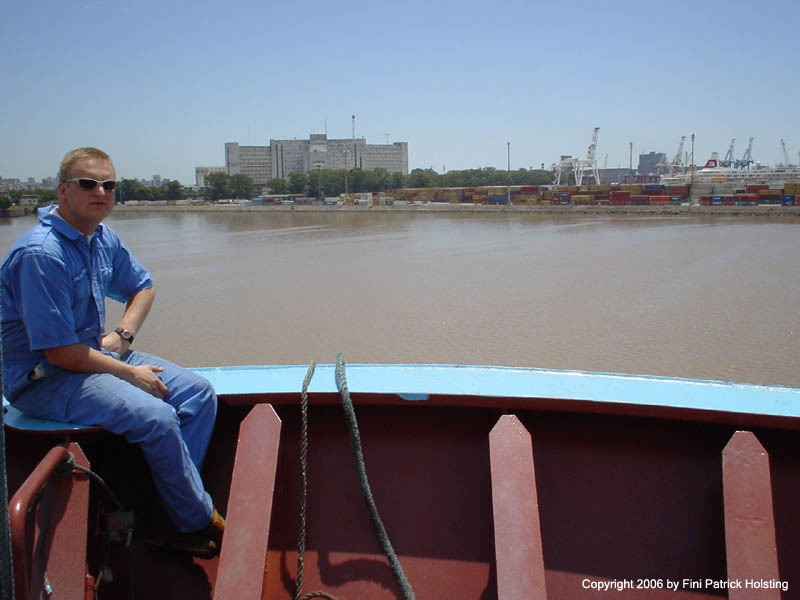 As duty officer, I assisted the Captain and the Pilot with navigation and wrote the ship's logbook, and after entering the port I took care of mooring from the forcastle (bow). 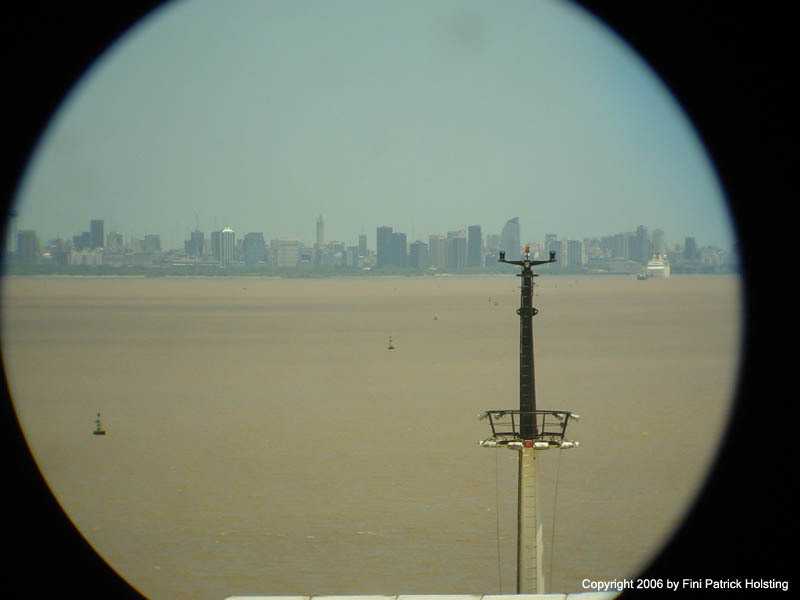 Buenos Aires skyline as seen from a few miles off the coast, through a pair of binoculars. In front of us in the narrow buoyed off channel is the Costa Romantica. 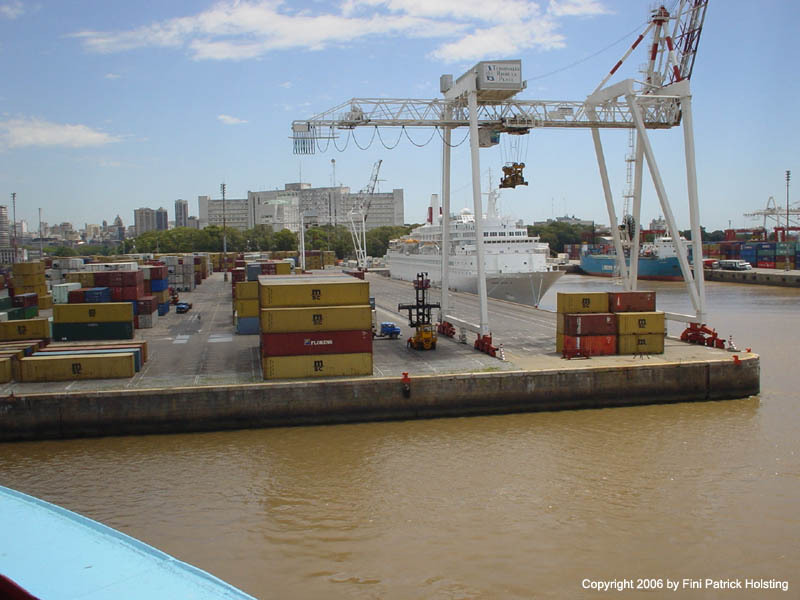 The entrance to the port of Buenos Aires. 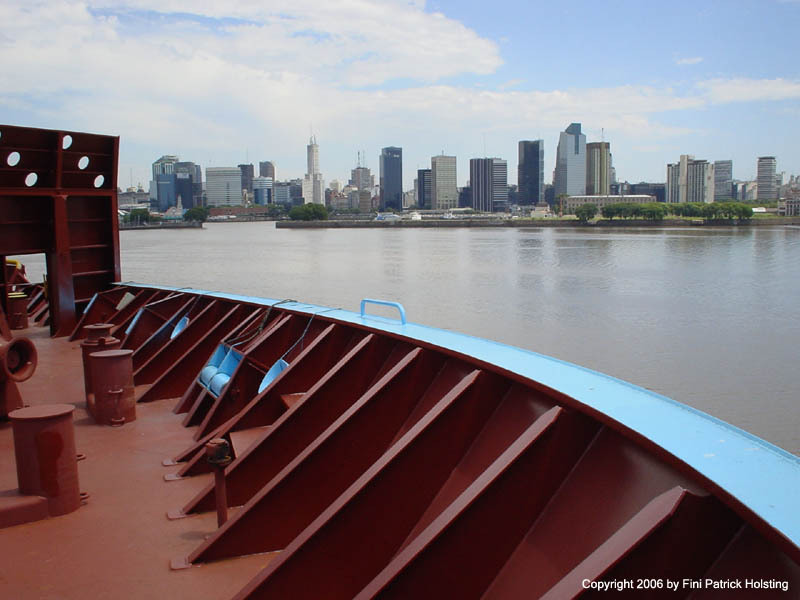 The port is just next to the city, so going ashore here is both easy and very popular among seafarers. The so called forcastle, the forward mooring deck with mooring winches and anchor windlasses. 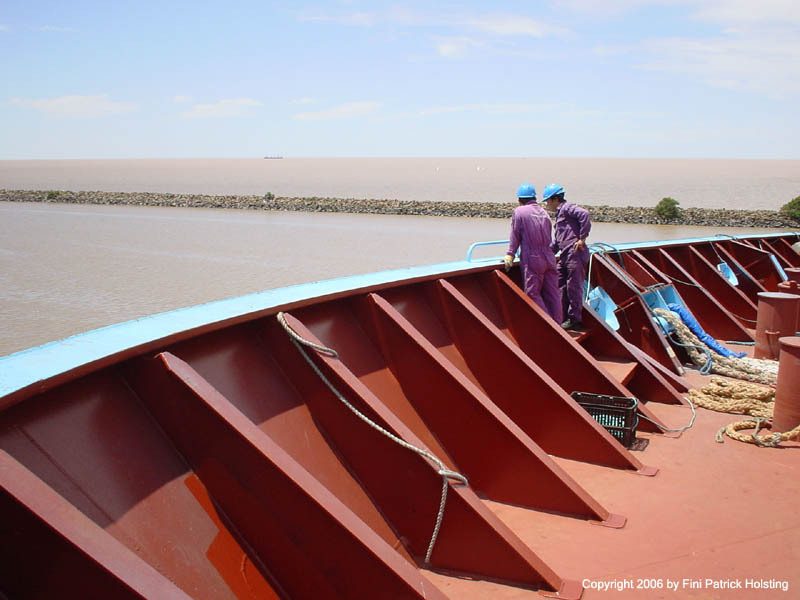 Here the mooring ropes have been laid ready, and the heaving line arranged, so the mooring operation can be completed efficiently and in a safe manner. My collegue Anders, waiting for the ship to get into position and for the mooring operation to begin. 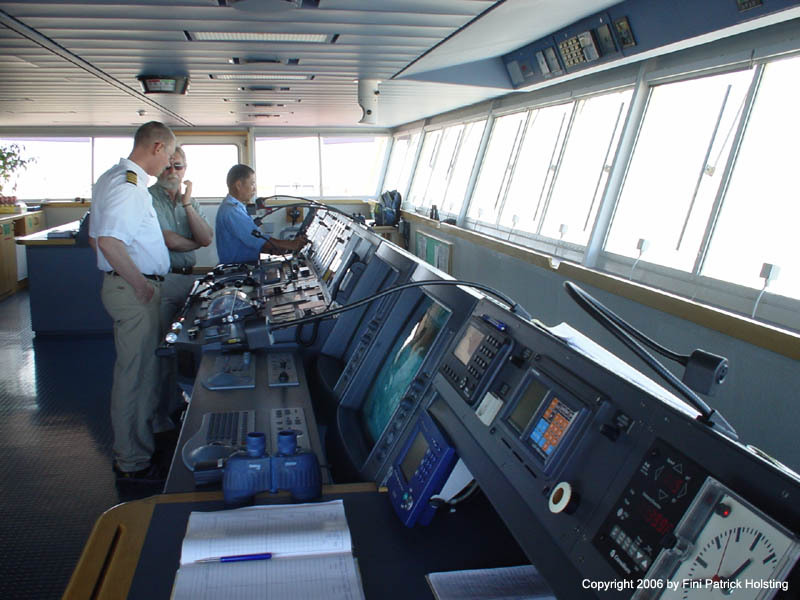 Normally, only one officer is present on the mooring deck during the operation. Port side, as we turned in the turning basin just inside the breakwater. Entering the container district this untraditional sight met us, a cruise liner berthed in an industrial port. 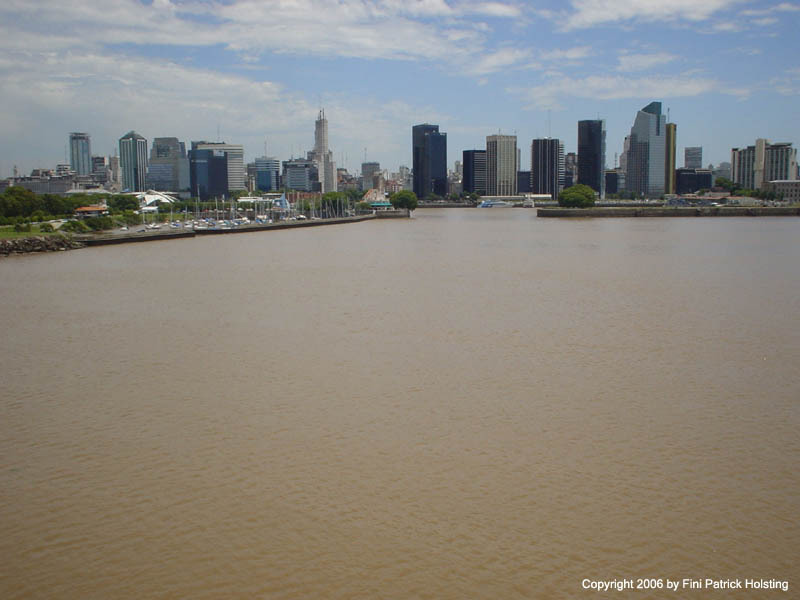 This is because Buenos Aires does not have a designated cruise liner terminal. 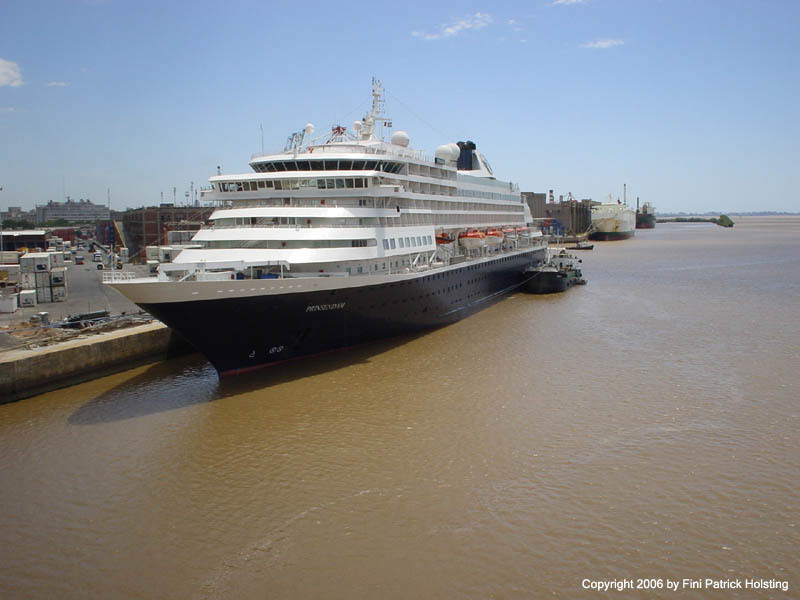 Even the Prinsendam of Holland America Line had to settle for the container terminals. Usually when two ships meet, people on one ship are very interested in the other ship. This was no exception. Countless flashes went off on the Prinsendam, and I shot a couple of pictures the other way too. The basin in which we were also destined. 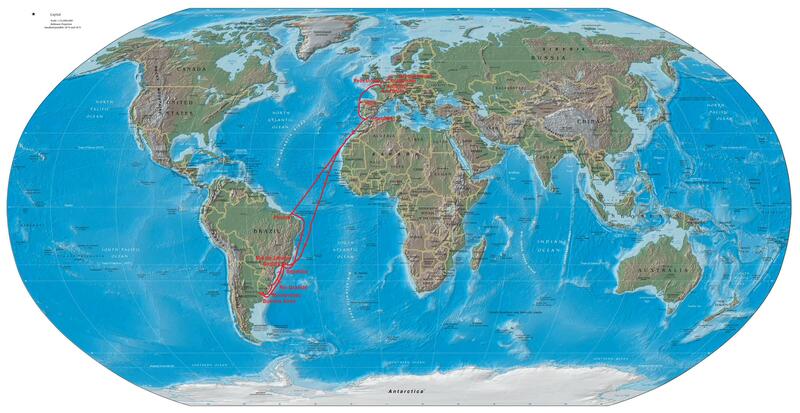 We moored in the far right corner. 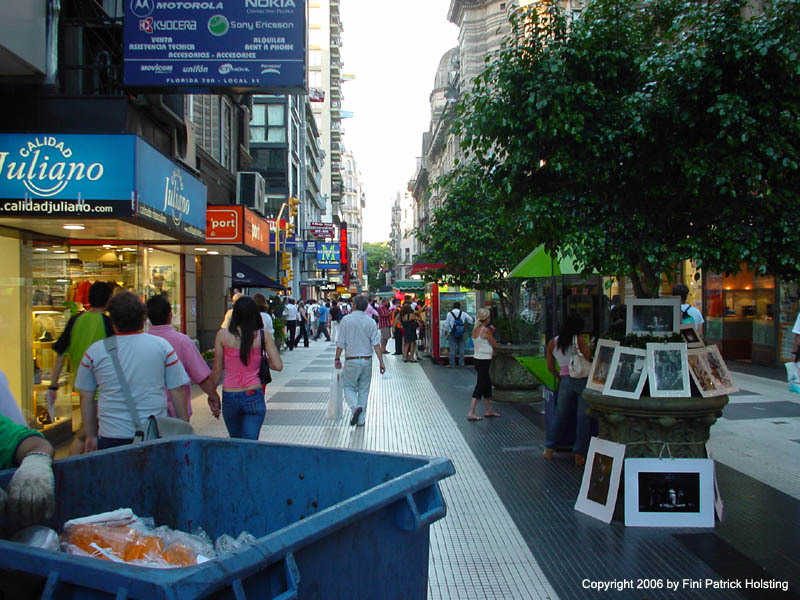 Florida Street in Buenos Aires, a target for tourists with all its shops, restaurants, and bars. Same street without the trash dumpster. 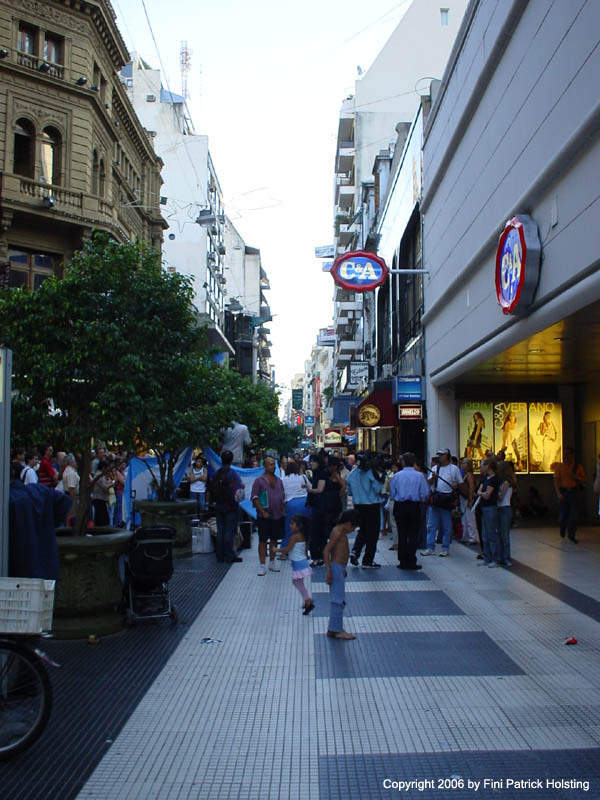 This street has it all - shops, restaurants, bars, coffee shops, paper stands, tourists, businessmen, and homeless children. 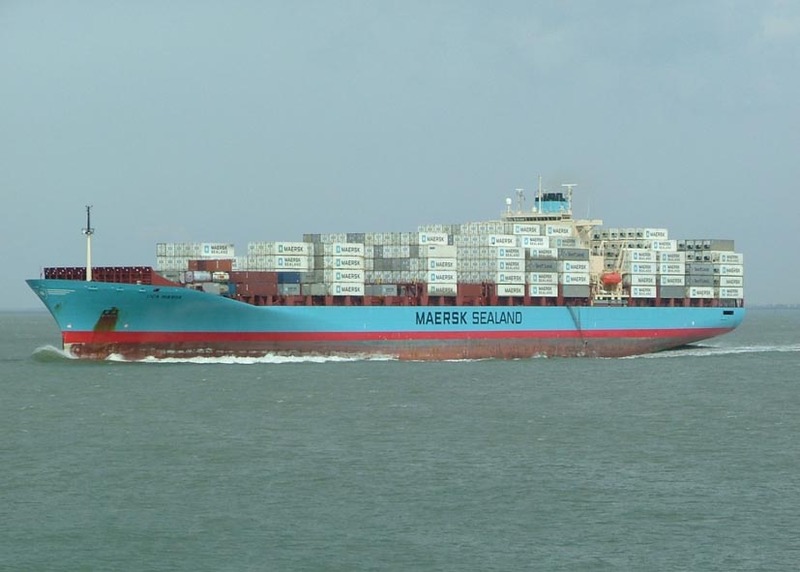 Three of my fellow crew members from Lica Maersk. 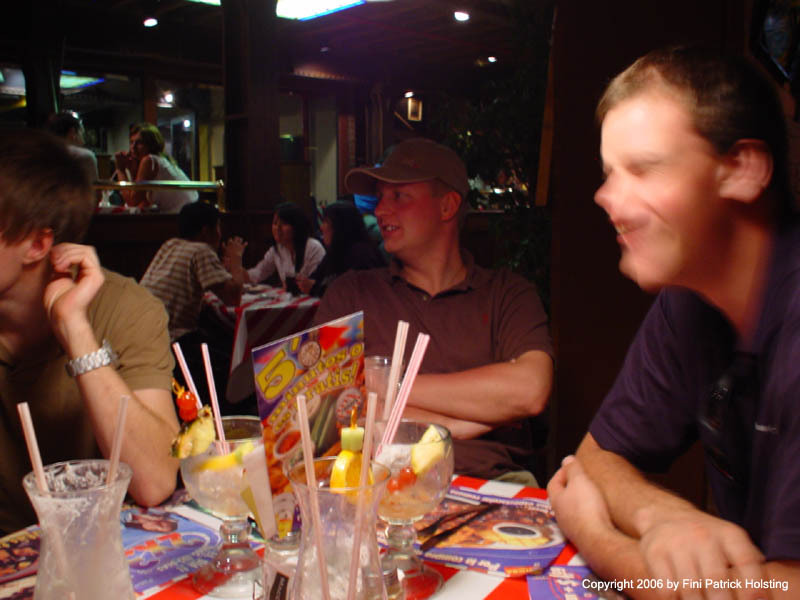 A fourth (outside the picture) is asking for directions to a restaurant. And we actually found the restaurant down by the old pier, now a beautiful promenade. A look down the promenade and the old docks.